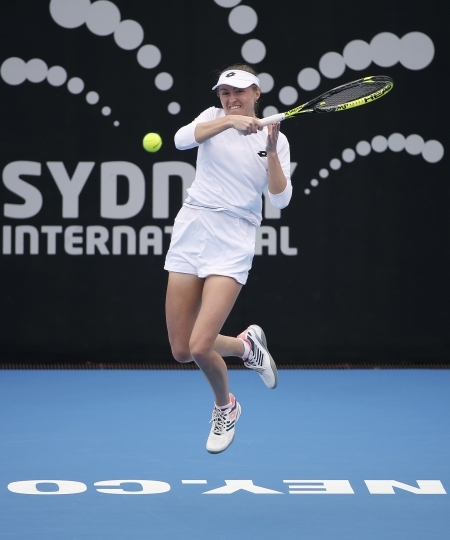 SYDNEY — Aliaksandra Sasnovich advanced to the Sydney International semifinals by beating Timea Bacsinszky 6-3, 6-3 on Thursday. 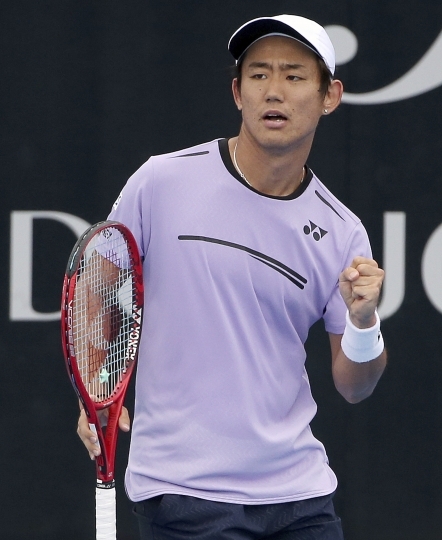 The 33rd-ranked Sasnovich reached the quarterfinals last week in Brisbane. 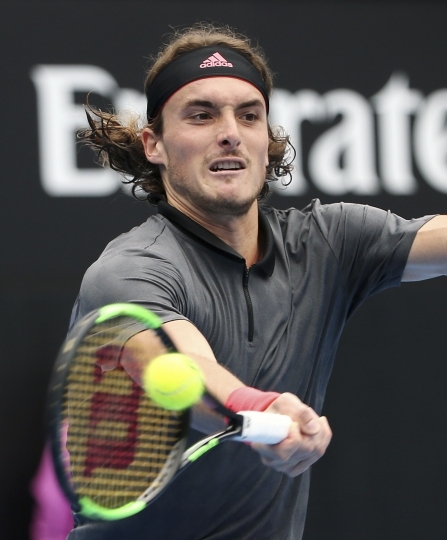 Sasnovich will next face two-time Wimbledon champion Petra Kvitova, who beat 2016 Australian Open champion Angelique Kerber 6-4, 6-1 in a match twice suspended by rain. 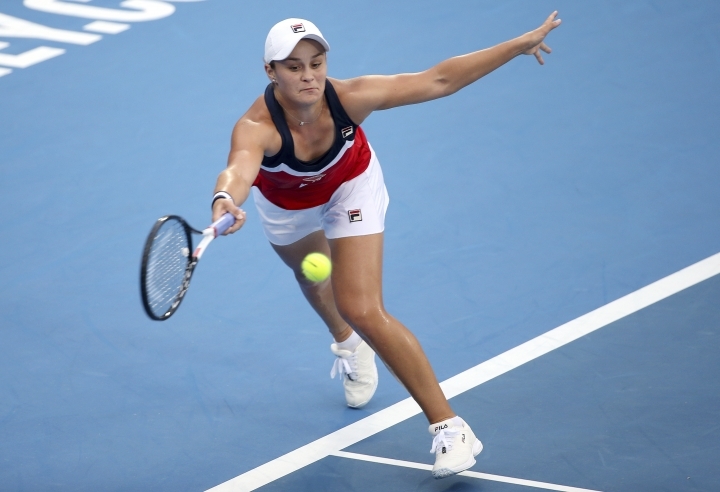 Ashleigh Barty, who beat top-seeded Simon Halep on Wednesday, advanced to the semifinals with a 6-3, 6-3 victory over Elise Mertens, breaking the Belgian player's serve six times. 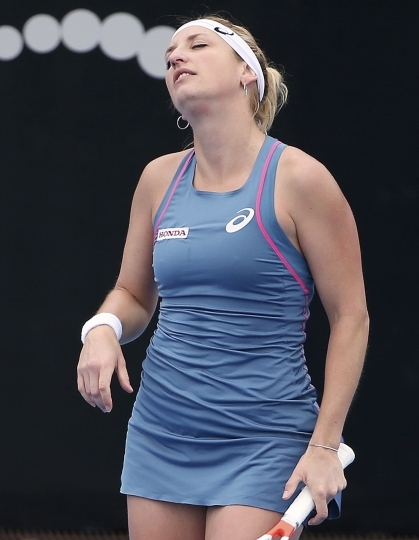 "I thought it was a little bit of a slow start, but it was good to get the ball rolling mid to late in that first set," Barty said. 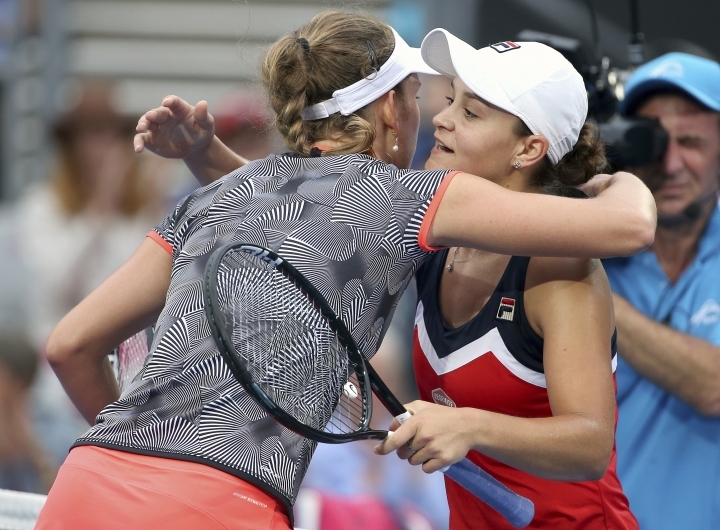 Barty will next meet seventh-seeded Kiki Bertens, who beat Yulia Putintseva 6-2, 6-2. 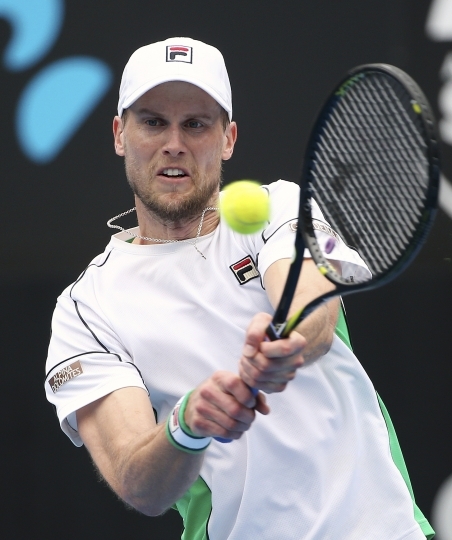 In men's quarterfinals, eighth-seeded Andreas Seppi upset top-seeded Stefanos Tsitsipas 4-6, 6-4, 6-4, No. 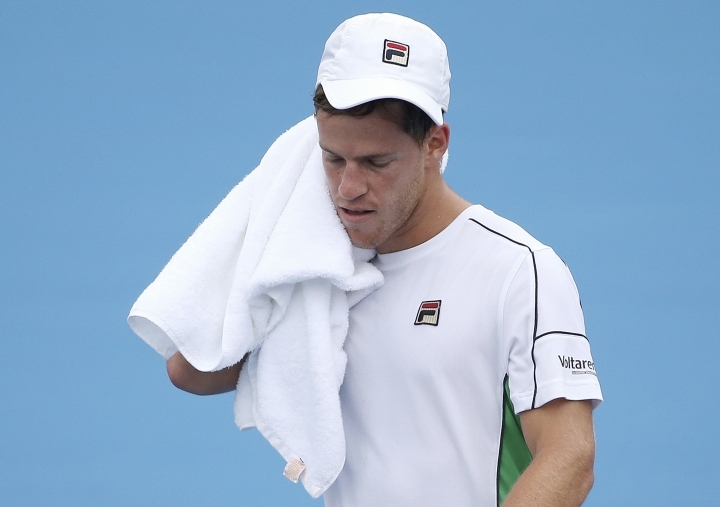 3 Diego Schwartzman beat Yoshihito Nishioka 6-1, 3-6, 7-6 (1), and Alex de Minaur beat Jordan Thompson 7-6 (4), 6-3.